THE HEALTH INFORMATION and Quality Authority (HIQA) has raised “significant concerns” over the ability of Cork University Hospital to control outbreaks of infection. A report by the authority, made following an unannounced inspection at the hospital, found that the facility lacked the resources to control infections properly. It came after 17 patients at the hospital were colonised by the CPE superbug – a potentially deadly infection that is hard to kill with antibiotics – during two separate outbreaks in July and October last year. While the hospital implemented control measures to manage the outbreaks, HIQA inspectors said they found no evidence to assure them that these measures were effective. “Observations made at the time of this inspection and subsequent information provided by the hospital did not assure HIQA that this ongoing issue was being comprehensively managed by the hospital at the time of the inspection,” the report said. 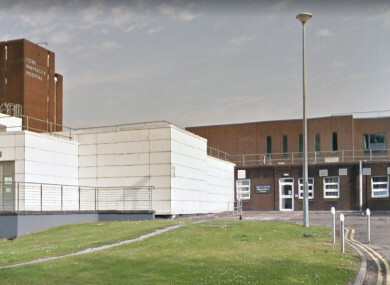 Among the criticisms raised by the authority were that the hospital had insufficient resources to test for the superbug, or to isolate patients potentially infected with CPE, while they also found there was a lack of infection control training among staff. Inspectors were initially informed by senior management that seven inpatients known to be colonised with CPE were confined to one ward. However, during the course of the inspection, they were told that the patients were actually located across four different wards. Meanwhile, a review of minutes of Executive Quality and Safety Committee meetings provided no evidence of how to prevent and control infections at the hospital. Following the inspection, HIQA sought written assurance from the hospital’s CEO Tony McNamara over the management of the CPE superbug within Cork University Hospital. McNamara told inspectors that the hospital would seek additional infection control staffing from the HSE and add CPE to the hospital’s risk register. In a letter to the HSE, he said it was “imperative” that resources were made available to CUH to allow the superbug to be managed properly. Email “'Significant concerns' over infection control at Cork hospital following two superbug outbreaks”. Feedback on “'Significant concerns' over infection control at Cork hospital following two superbug outbreaks”.